Make a difference now, for generations that will come. Join us and the millions around the world in switching off between 8.30pm and 9.30pm tonight in raising awareness on climate change and environmental conservation. Got both your hands full? No worries. Just kick your foot under the rear bumper area and watch the New X-Trail’s available Motion Activated Power Tailgate automatically open. No more reaching for a key or juggling your armful. Navara: The Ultimate Tofu Challenge: Transforming from a tough, workhorse to a flexible multi-purpose pickup with premium ride comfort. 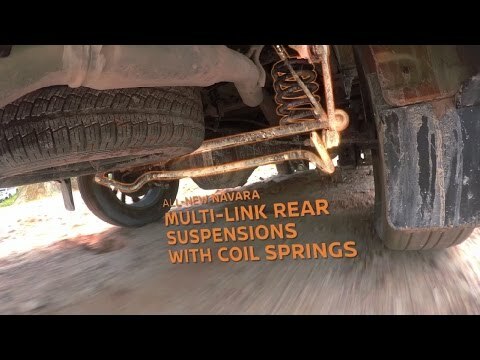 Witness how comfort is proven to be better with the multi-link rear suspension in the Nissan Navara. It’s Thursday and we have a game for you! Can you guess which NISSAN is hinted in this post? Open for booking now: Introducing the New Nissan X-Trail - the smarter, safer and sensational SUV. Equipped with Intelligent Cruise Control that helps you maintain an adjustable speed and set distance between your X-Trail and the car ahead. The New Nissan X-Trail - Hybrid Technology. The New Nissan Almera - Black Series. Perfectly styled with New Sporty Flat-bottom Steering Wheel and Dark Titanium Accent Aerokit by TOMEI Japan - Simply Menacing! Test drive today! *T&C apply. You on Team Teh Ais? Or Kopi Ais? Let us know your pick in the reactions below. Whether it’s an icy mid-noon beverage or a pack of curry laksa, multiple hooks on the Serena saves the day even when you’re on the go. Nissan Almera – Black Series: The New Nissan Almera – Black Series, perfectly styled with a Gloss Black Front Grille, Side Mirror Covers and Alloy Wheels, together with an All-new Aerokit with Titanium accent by TOMEI Japan that makes it Simply Menacing. Open for booking now: Introducing the New Nissan X-Trail - the smarter, safer and sensational SUV. Equipped with Intelligent Forward Emergency Braking to assist the driver when there is a risk of a forward collision with the vehicle ahead in the travelling lane.